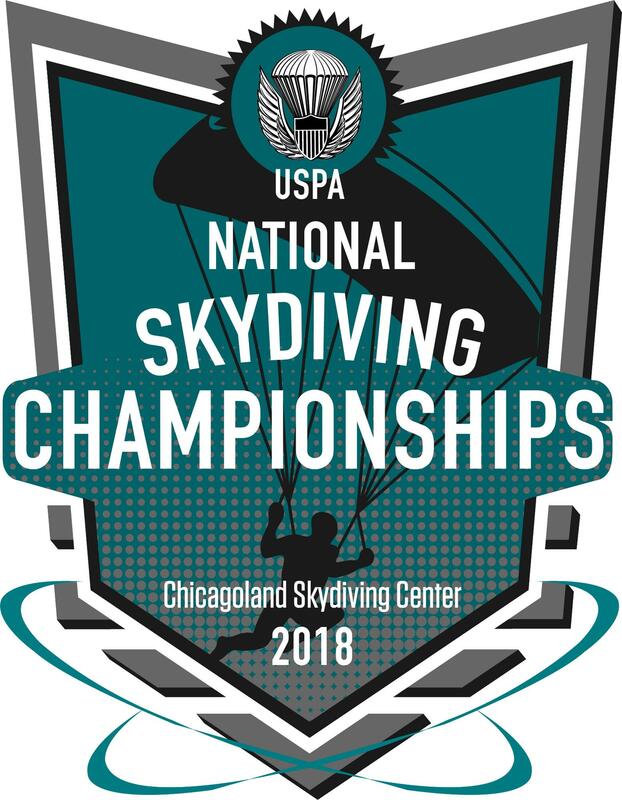 After nearly two full days on the ground due to weather, the first events wrapped up at the 2018 USPA National Skydiving Championships at Chicagoland Skydiving Center in Rochelle, Illinois. The vertical formation skydiving event completed five of 10 scheduled rounds, with five teams in each division. In the open class, SDC Core once again took the gold, 20 points ahead of second place. Arizona X-Force won silver, and Golden Knights VFS took bronze. In the advanced division, Skydive Midwest Chemtrails won gold, with Dynasty in second and STF Pickle Ricks in third. This year’s Nationals included an intermediate-class test event, with ECLIPTIK taking the top spot. In the artistic events, freeflying completed only two of its seven rounds. Multi-time national champion Oceanside FLO again won gold. In freestyle, last year’s silver medalist, Axiom, took the top spot, ahead of previous champion Animare XP. AZ Dream earned the bronze. The freestyle event only had one fully scored round, since one of the teams was unable to complete round two. Since no competition loads flew on Friday, the mixed formation skydiving event will try to get all rounds in on Saturday, alongside the start of intermediate 4-way formation skydiving.